Unfortunately, your A/C will not last forever. After some years of functioning and maintaining your home cool, it may be time to replace your A/C system. If you think your air conditioner is not cooling your home as well as it use to, it might be time to think about replacing it with a newer, more energy efficient model. When looking at companies to replace your air conditioner system, contact Anytime Heating, Cooling, and Plumbing for A/C replacement services in Atlanta, Alpharetta, Marietta, McDonough and all 26 Counties surrounding the Metro Atlanta area! We are a leading A/C repair and replacement company that is certified and trained to install new A/C systems in your home. If the A/C unit is blowing warm air this is a sign that you have a Freon leak. You will need a professional company to inspect the unit and lines to find where the Freon leak is. Freon does not and should not evaporate from your HVAC system. So if your HVAC unit is blowing warm or hot air you likely have a Freon leak. Do not let the system run like this because Freon is expensive and you do not want to waste it with a leak and it can also create additional strain or failure on a component of the HVAC system that may not be broken. An A/C System that is blowing warm air needs to be immediately shut off and a call made to a professional HVAC Company to have this inspected. If your air conditioner is tripping a breaker it is because the HVAC unit is pulling in more amps (or electricity) than the breaker is rated for. So if you have a 20 amp breaker and the A/C unit is pulling 30 amps, the circuit breaker trips. Do not keep resetting your circuit breaker and letting it trip over and over. This constant tripping of a circuit breaker by your HVAC unit can cause damage to the unit and potentially a fire. What can cause an air conditioner to trip the circuit breaker? If your electric bills are rising every summer, then it’s potentially a sign to replace your A/C unit. Over time, the effectiveness of your A/C unit may slow down, mainly if it has not been serviced on a regular basis. A high efficiency, modern air conditioning unit will help enhance system efficiency, which can considerably lower your electric bills. If you find that you are having frequent air conditioning repairs, replacing it may save more money in the long run. Whenever a non-warranty A/C fails, it is time to look at the replacement cost vs. the repair cost and it may make sense to replace the complete unit. The major purpose of your A/C system is to maintain your home comfortably and cool. If there are rooms that forever appear to be muggy and hot, your system may not be sized to match your home’s cooling load even if you have a newer home. Home builders or remodelers will often put the smallest unit that can pass building code to save money but it doesn’t take much to stress the system to a point where they no longer maintain the comfort of your home. The majority of Air conditioners normally last approximately 10 years. The A/C industry continues to develop, and technology enhancements can noticeably enhance your comfort level and lower operating costs. If you think it is time to replace your air conditioner, call Anytime Heating, Cooling and Plumbing. We can inspect and quote you on the replacement of your current air conditioner with an energy efficient cooling unit. We have many HVAC systems that can fit any homes need as well as any homeowners budget. We also offer financing plans for a new HVAC system replacement. If you are all set to schedule an A/C replacement, count on the A/C experts at Anytime Heating, Cooling and Plumbing. Our professionals are certified and trained to bring you a satisfaction guaranteed installations at a reasonable price. We proudly replace air conditioners in Atlanta, Alpharetta, Marietta, McDonough and all 26 Counties around the Metro Atlanta area. We are the most reliable company to provide our customers with high-quality services. Our staff is experienced, trained and highly skilled to provide long-lasting services for A/C replacement. Our technicians have more training hours per technician than almost any other HVAC company in Atlanta! 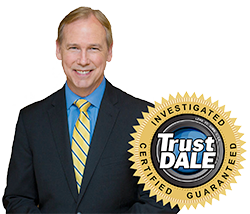 We perform an extensive criminal and drug background check on all our technicians. Most competitors even the major companies do not do the deep extensive background checks that Anytime Heating, Cooling and Plumbing does before hiring and allowing someone in your home! At Anytime Heating, Cooling and Plumbing, we are available 24/7 to offer any kind of A/C repair or replacement service. We are dedicated to providing a quick response to our customers. We are committed to your satisfaction and guarantee our work! We stick to the ethics and provide our customers with the most excellent services at the most reasonable cost. Our experts do their job honestly and professionally without breaking your budget. We offer a full range of systems, brands, and financing to meet your budget needs! Call us today at 770-504-5881 to schedule an AC replacement in your home or office today!